Satkhira Correspondent: Export and import activities at Bhomra land port in Satkhira district resumed on Monday after a four-day vacation on the occasion of Puja, weekly holiday and upazila polls. Mostafizur Rahman Nasim, general secretary of Bhomra Land Port C and F agent Association said that the activities started this morning after the vacation. Indian trucks are crossing borders with goods. 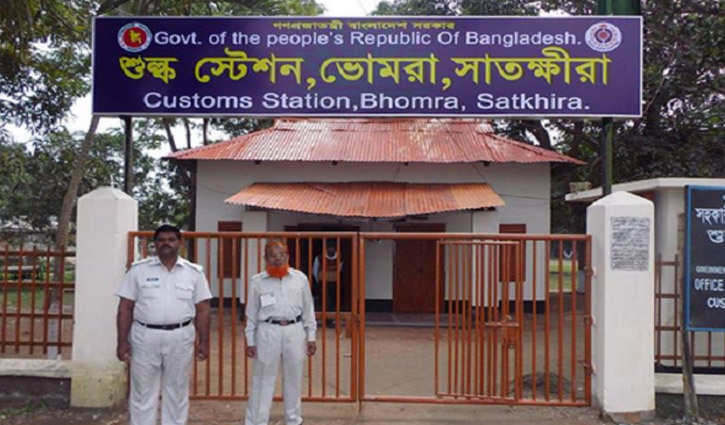 Niamul Hasan, Assistant Director of Bhomra Land Port Custom Station said although the export-import procedures were shut but the passport holders’ move easily through Bhomra immigration during the four day vacation.